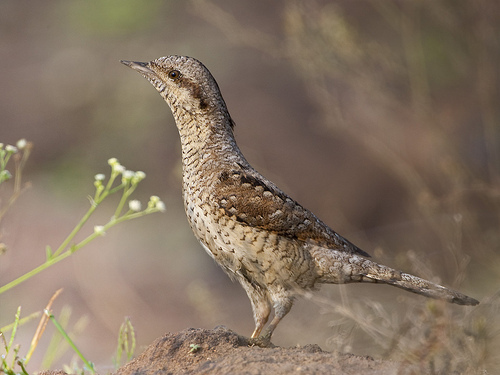 The Wryneck is a member of the woodpecker family, but it does not always behave like that. It usually sits on a branch and picks up ants and other insects from the tree. From the Wryneck you will not hear the typical woodpecker drumming. The Wryneck is greyer instead of brown. 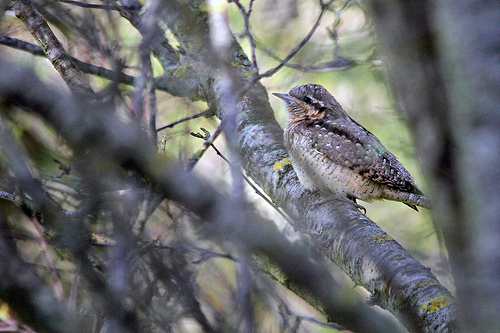 Its behaviour is different: the Wryneck sits on the branch of a tree. The Treecreeper climbs along the trunk.